We're all seeking comfort when it comes to dressing up, and this combination of a black blazer and a Mango outlet quilted mini cross body bag is a practical illustration of that. Black leather pumps will instantly smarten up even the laziest of looks. If you're a fan of practicality dressing when it comes to your personal style, you'll love this adorable pairing of a black and white shearling jacket and a Mango outlet quilted mini cross body bag. To add oomph to your ensemble, round off with black leather ankle boots. If you're obsessed with comfort dressing when it comes to your personal style, you'll love this totaly stylish combo of a red midi dress and a black quilted leather satchel bag. Spruce up your ensemble with black suede heeled sandals. If you're obsessed with relaxed dressing when it comes to your personal style, you'll love this super cute pairing of a pink leather bomber jacket and a Mango outlet quilted mini cross body bag. Amp up the cool of your getup by finishing off with silver leather oxford shoes. If you're all about relaxed dressing when it comes to fashion, you'll love this extra cute combo of a black fur vest and a Mango outlet quilted mini cross body bag. Dress up this look with dark brown suede ankle boots. 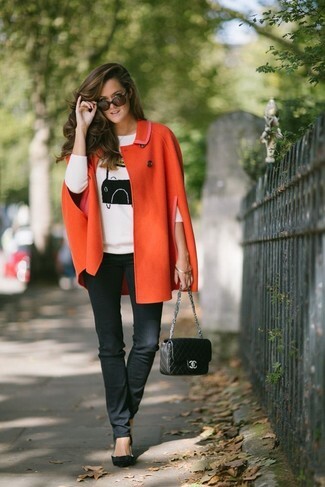 We all seek comfort when it comes to dressing up, and this combination of a red cape coat and a Mango outlet quilted mini cross body bag from Mango is a great illustration of that. When it comes to shoes, this ensemble is round off nicely with black suede ballerina shoes. 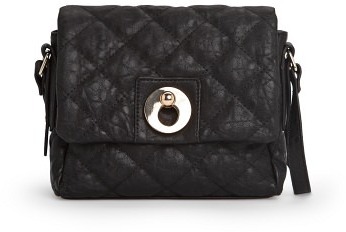 If you're obsessed with relaxed dressing when it comes to your personal style, you'll love this chic pairing of a black wool turtleneck and a Mango outlet quilted mini cross body bag from Mango. Up the cool of your look by finishing off with black suede ankle boots. We're all ensembleing for comfort when it comes to dressing up, and this combination of a multi colored poncho and a black quilted leather satchel bag is a good illustration of that. To add oomph to your look, complement with black leather pumps. If you're obsessed with functionality dressing when it comes to your personal style, you'll love this extra adorable combo of a white and black horizontal striped cropped sweater and a Mango outlet quilted mini cross body bag from Mango. Spruce up this ensemble with black leather pumps.